CANBERRA, Aug. 17 (Xinhua) — Dating back to 1960s, when Australia and China were yet to establish diplomatic relations, scientists from both countries had already started paying visits to each other. Half a century later, this relationship is described by Australian Chief Scientist Ian Chubb as scientifically productive and mutually beneficiary. Professor Chubb, in a recent speech at the Australian National University (ANU), recalled that in 1963, Professor Wilbur “Chris” Christiansen, a radio astronomer at the University of Sydney, visited China as a guest of the Chinese Academy of Sciences, starting communications between the two countries’ science circles. The relationship now “has given rise to many exciting discoveries, innovative new products and strategic new relationships”. These include the development of the first electricity generating plants to capture carbon dioxide for storage so contributing to world-leading research on reducing carbon pollution from coal-fired power stations; clinical trials of potential treatments for diabetes and pre-diabetes conditions; the discovery of biological control agents that have the potential to improve China’s national wheat harvest by up to 10 percent. The relationship also includes academics working with industry. The Baosteel-Australia Joint Research and Development Centre is a world-first joint venture between the Chinese steel company and four Australian universities. In his speech on Wednesday, titled “Partners in influence: How Australia and China relate through science”, Chubb said China has been increasingly important to Australia, being “the most significant education partner and a growing research partner”. In 2012, Chinese students accounted for around 30 percent of all international students enrolments in Australia and 40 percent of all international enrolments in higher education. China and Australia have also become prolific partners in scientific publications, with a wide range of institutions involved and the full spectrum of the sciences. China is moving up the global ladder in terms of the number of research publications, overtaking the United Kingdom as the second- ranked country in scientific publication output. Australian papers co-authored with Chinese colleagues has risen from 4 percent in 1996 to 14 percent in 2009. 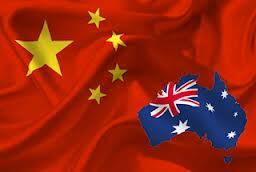 Chubb said the scientific relationship between Australia and China is not opportunistic. For example, Chinese and Australian engineers and scientists are collaborating on the technology for both Australia’s part of the SKA radio telescope in Western Australia and China’s new FAST telescope to be built in southwest China. There are now 885 formal university-to-university partnership agreements in place to support exchange and cooperation between Australia and China, 72 percent more agreements than a decade ago. Some 2,000 or so Australian students travelled to China to study in 2011, and three Australian universities have established joint campuses in China. In several fields of research, such as mathematics, engineering and chemistry, China is now Australia’s leading partner in collaboration. And it is the second-top source in agricultural and veterinary science and immunology. Chubb said science is a universal”language”shared by countries and cultures around the world. And many of the problems,for example issues relate to climate, pandemics, antibiotic resistant microbes, influenza, food security, are global in character. He said both Australia and China have concerns on issues like adapting to changing climate conditions, meeting the healthcare needs of ageing populations, the environment, energy and food security and therefore attach research priorities on these issues. He also anticipated that the Chinese students who have studied in Australia will become a great force in promoting bilateral scientific collaboration in the future. Chubb noted that China has adopted a new Science and Technology development goal to 2020 covering agriculture, industry, high-tech and the generation of new ideas. He called for a similar strategy from the Australian government.